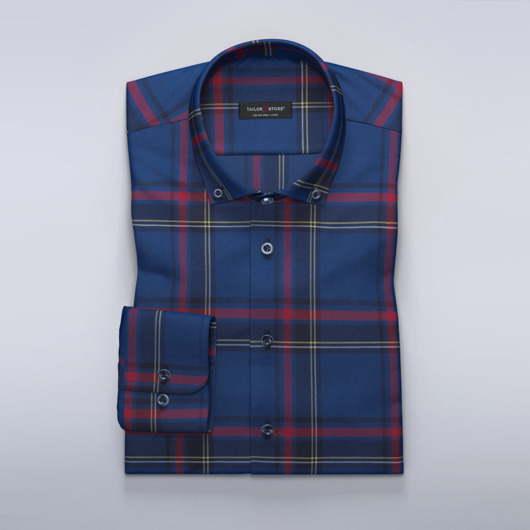 Casual beige dress shirt with checks in navy, brown and red. The lightly brushed surface makes it both soft and comfortable to wear. Pair of jeans or chinos for a relaxed and stylish look. Order our recommended design or customize it to your preference. Made to your measurements.